The law applying to disability discrimination applies to landlords. Since December 4th 2006 landlords have had to be aware of their legal duties regarding disabled people who may need their homes to be altered or have some form of assistance to live in the homes that they are renting. any fixtures in or on the property. Things that you would not have to do, for example, include moving a drying area or a communal entrance for a block of flats.If a tenant asks to make adaptations, they have to make a request in writing, and any request must be ‘reasonable’. It’s also not necessarily up to the landlord to foot the bill for any alterations to a property that need to be carried out. If a disabled person asks for you for a specific improvement, and you have to make this adjustment, you could get help from many different sources. 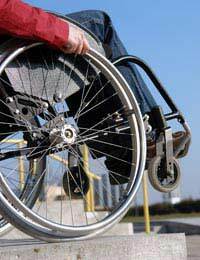 It’s possible to get grants – or small supplies such as portable ramps, from your local social services department. If social services won’t fund the adjustment then, you may have to pay for it yourself, or come to an agreement with the tenant about the cost. There are several ways that a tenant or potential tenant can claim that you have discriminated against them, so be aware of this when taking on or considering a disabled tenant. You can’t refuse to let the property to someone who is disabled. Even if you don’t think the property is suitable for them, you still can’t use that as a reason to refuse then a tenancy. You must not refuse to allow a disabled tenant the use of any communal facilities on the grounds of their disability, refuse to carry out repairs or renovations, or give them less favourable treatment in any way. In some cases, there may be terms in a standard tenancy agreement which make it difficult for a disabled person to live in the property. One example of this could be a ban on pets in the property, which would mean that a tenant who has, or develops, sight problems could be unable to have a sight assistance dog. In this case, it would be unreasonable to insist on this term of the tenancy agreement, and most landlords would simply waive it to allow a guide dog. Hello. I need advice.I am deaf with a cochlear implant. I share house with other three tenants. when i watch TV in shared room, I need a quiet time. Sadly some of them are very rude and ignire my request for keeping their voices down. My landlord does not want to do anything about that. Do I have any right as a deaf person to ssk mt landlord to allow mw watch tv alone in living room? i find it stresful to understand in the room where people shout. I do have tv in my room but i cannot be confined to my room all the time and i pay to use shared luving room..Am i wrong to demand this? The Disability Discrimination Act makes it illegal for landlords to discriminate against tenant because of a disability, meaning the landlord must treat all possible tenants equally. Examples of ways in which the landlord may treat a disabled tenant less favourably include refusing to let to a disabled person. However, it is not illegal for a private landlord to refuse a property to a tenant who will be claiming benefits. If this is the reason of the refusal to let and that reason is also used where able-bodied tenants are concerned, then this reason is not classed as discriminatory. I have over the past 2 yrs became disabled I use an electric wheel chair to get around out side. I have asked for a way to master the curb to my place. I was told that the owners will not make any alterations to any curb. Basically because then they would have to do it for anyone. I have a disabled friend who cannot use the shower facilities in her rented property. When she showers the water goes into the bedroom and she has already slipped once. Is the landlord obliged to alter the shower to make it safe?